2017 - Excavated earth mould with plaster and foiliage. Dimensions 75cm x 120cm. 2016 - Plaster with sackcloth. Dimensions 85cm x 55cm. 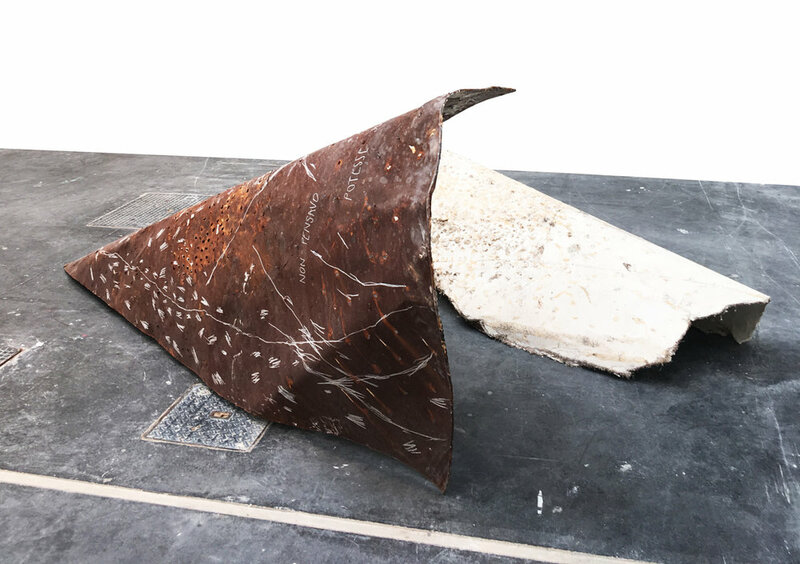 2017 - Steel mould with plaster and sackcloth. Dimensions 315cm x 100cm. 2016 - Various compositions with polyurethane. A selection of sculptures, created in between 2014 and 2017, made with various materials.